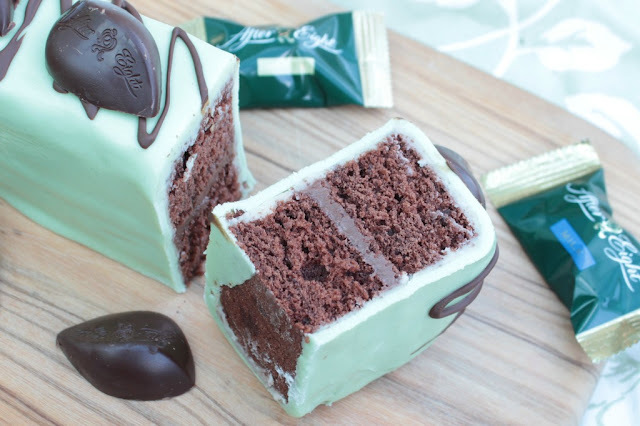 Today I bring to you an after eight fondant fancy. It was meant to be lots of small ones. However, life is short. If you are going to make your own fondant fancy I strongly suggest you make a big one and cut it up! It is so much easier and this recipe will make two rectangles which will make 6 generous portions. I popped to Tesco to get all the ingredients I needed for the bake. I already had some green colouring which I used, but if you need to buy some I would highly recommend buying a gel. One of the biggest things I learned by making this fondant fancy, is to treat it in the same way as making cake pops. It is much easier to work with the cake when it is hard, so pop it into the freezer for 20 minutes so that it goes cold and the butter icing is easier to spread. I guess the bigger you make the cake the easier it is, so you could always double this recipe and make one giant fondant fancy! a few squares of dark chocolate to melt. Mix all the cake ingredients together and put in a lined 8 inch square tine. Bake at 180C until a skewer comes out clean. Allow to cool. Cut the cake in half and sandwich together with the chocolate spread. Then pop this in the freezer for 20 minutes. Mix the butter, peppermint essence and icing sugar together with a small amount of water to make the butter icing. Take the cake out of the freezer and cut in half length ways. Add butter icing to the tops and sides and pop back in the freezer. Take some fondant icing and mix with some green gel. Then roll out and cover the cold cake in fondant. Melt a small amount of dark chocolate and drizzle over the cake. 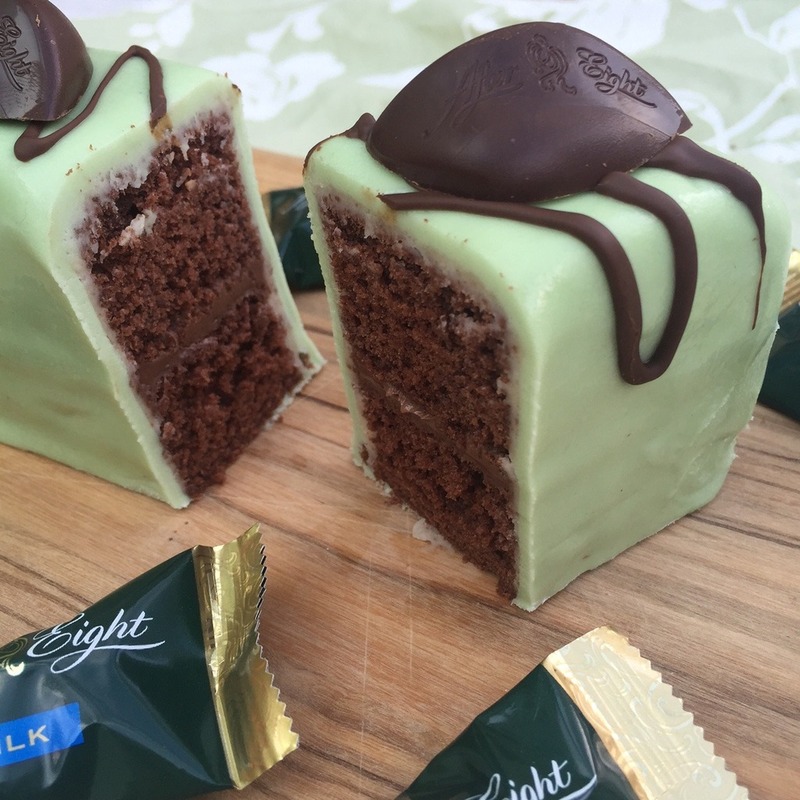 Finish by adding the after eight chocolates to the top.